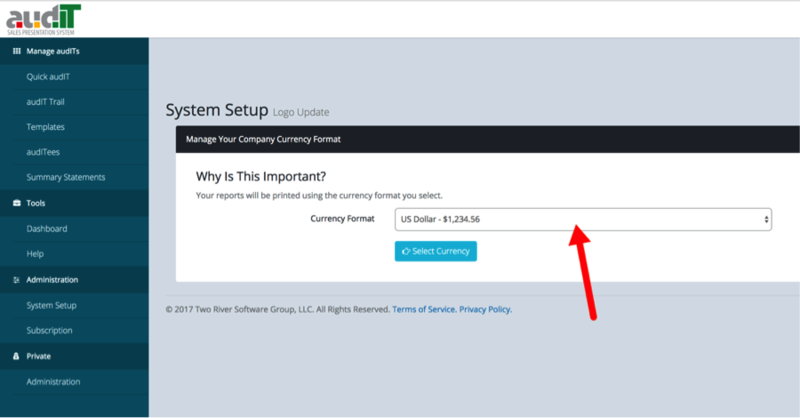 When you run an audIT, there are several places on your finished report that will display currency. This is especially important when you run an audIT on a prospect. 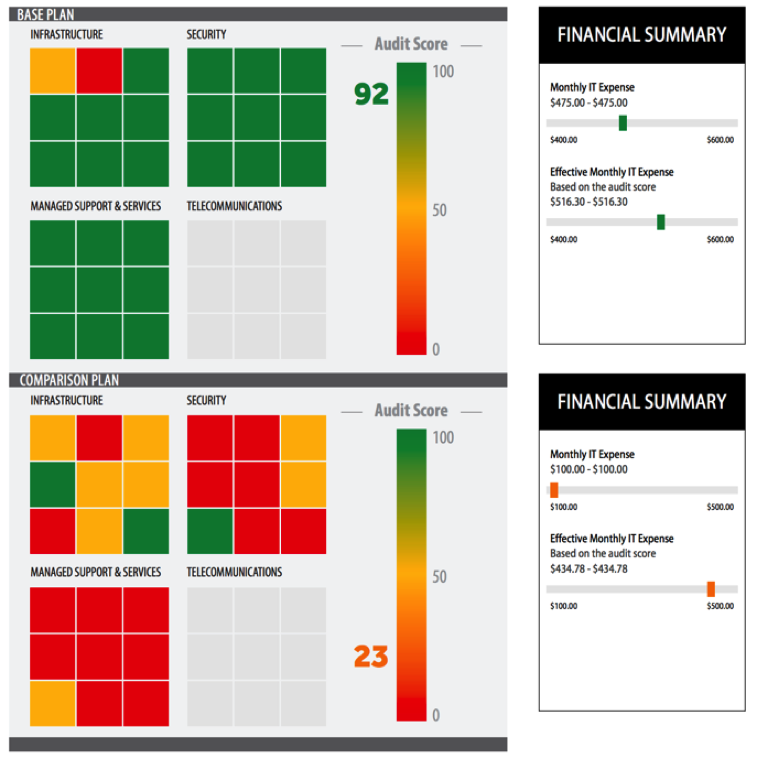 As you run your audIT, the system generates an audIT Score. The audIT Score is on a scale from 0 to 100. The beauty of this process is we can then use this score to demonstrate just how much your prospect would pay their current provider to get to a 100. If they pay their current IT provider $2,000 per month and have a score of 50; it might cost them $4,000 per month in order to raise that to 100 under their current situation. This is one of the many ways that audIT demonstrates your value to your prospect while making your price appear very affordable even though it might be more than they would like to pay. And this results in higher MRR for you! This makes the currency a very important part of the audIT presentation. Until now, currency has been in US dollars. It is still defaulted to US dollars but now you are able to change this to reflect your currency if you operate outside of the United States. To make this change now, simply log into audIT and select the SYSTEM SETUP menu option under ADMINISTRATION. 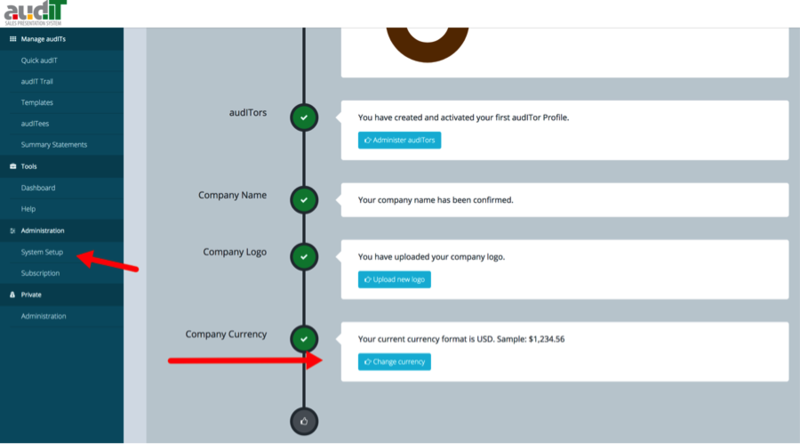 Then scroll to the bottom of the page to the last option: Company Currency. Once you click the button, select your currency format from the drop down menu and hit the ‘Select Currency’ button below to save your change. At audIT, we continually make updates to the system with the goal of making this the best tool for your MSP. Many of these updates are a direct result of your feedback. If you have questions or a feature request, click here and submit a help ticket or call (732) 391-1881. Our top priority is to help you close more sales for higher MRR.